Cognitive Behavior Therapy (CBT) is based on the idea that a person’s own unrealistic thoughts and beliefs lead to their negative moods and unhealthy behavior. It rests on the theory that other people, situations, and events are not responsible for a person’s mood or behavior; instead it is that person’s reaction that creates the negative impact. For people young or older, who experience these or other conditions, Cognitive Behavior Therapy helps the patient become aware of their unreasonable thoughts and beliefs so they can view the situation more realistically and react in a healthier way. Identify troubling situations or problems. These may be the result of a medical condition, a mental illness, or a disorder of some kind. Become aware of thoughts, emotions, and beliefs about those situations or conditions. Once these can be determined, the patient is encouraged to explore them and how they are interpreted by the patient. Identify negative or inaccurate thinking. 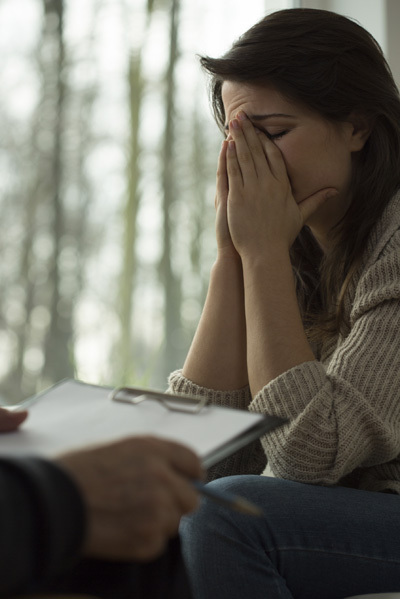 To do this, the cognitive therapist may ask the patient to pay close attention to their physical, emotional, and behavioral responses to a troubling event. Challenge negative or inaccurate thinking. The therapist will ask the patient to question whether their thoughts are based on facts and logic or on a distortion of the situation. Change thoughts and beliefs. The ultimate goal is to replace negative, inaccurate thoughts with positive, accurate ones that are more realistic.